Or, get it for 6800 Kobo Super Points! 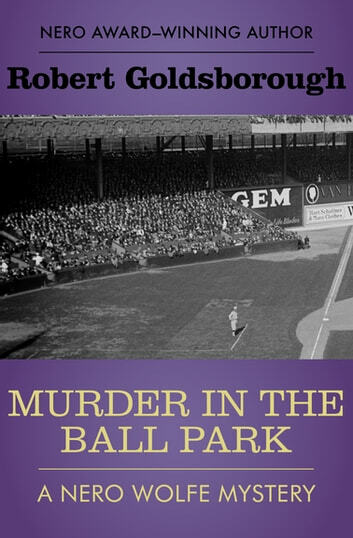 A killer hiding among the crowd at a Dodgers-Giants game forces Nero Wolfe to step up to the plate in this “superb” mystery (Publishers Weekly, starred review). Archie Goodwin and Saul Panzer have ventured into the wilds of northern Manhattan to watch the Giants take on the Dodgers at the Polo Grounds. The national anthem is just winding down when Panzer spies a notable in the box seats: state senator Orson Milbank, a silver-haired scoundrel with enemies in every corner of upstate New York. In the fourth inning, a monstrous line drive brings every fan in the grandstand to his feet—every fan save for one silver-haired senator, who has been shot dead by a sniper in the upper deck. Archie’s employer—the rotund genius Nero Wolfe—has no interest in investigating the stadium slaying, but Archie is swayed by the senator’s suspiciously lovely widow. 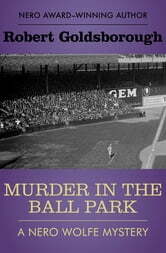 Her husband was mired hip-deep in corruption, and sorting out who killed him will be a task far less pleasant than an afternoon at the ball park. The picture is of a water fall not the Washington monument.